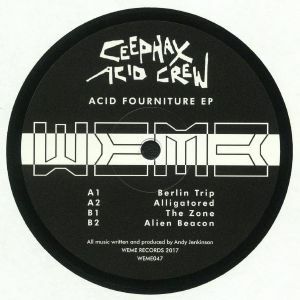 Camelot Arcade is the new triple LP from Ceephax Acid Crew on WeMe Records. 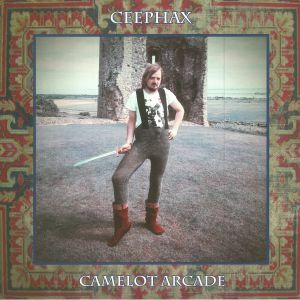 13 tracks of Camelot goodness with all the feeling and melodies we’ve come to expect from Ceephax and his collection of classic electronic hardware. The tracks range from the easy listening sound of Phraxby to the baroque dancefloor pump of Camelot Escalator, to the trap-esque cyber feel of Yodecahedron and the Detroit moodiness of The Green Night. Creon Happy and Trusthouse Forte have an upbeat classical feel (backed up of course by Ceephax’s favourite Roland drum machines.) While Path to the None and Shadowphax Part I&II are more dark in spirit. A lot of the tracks such as Life Started Tomorrow and The Great Greatsby were born randomly of quick jams with live keyboard playing and the album has an organic feel to it which a lot of the more formulaic electronic music lacks. All in all Camelot Arcade is a wonderful breath of fresh air and is sure to go down in history as one of Ceephax’s best. Acid Fourniture is a journey into the darker recesses of Ceephax’s acidic mind. Simple 303 lines pulsate alongside sinister chords and detuned synths. Berlin Trip is a classic acid 4 to the floor track along the lines of Flow Coma by 808 State. Alligatored is a tight 808/303 groove made for the dancefloor. The Zone is a slower more introspective Acid, conjuring up lost warehouses and derelict minds. Alien Beacon takes a more electro acid slant, inspired by sinister lights in the sky and paranoia. 1985, restored from a vintage vinyl copy (masters were lost long time ago in Chicago…) Copies sold for 0. 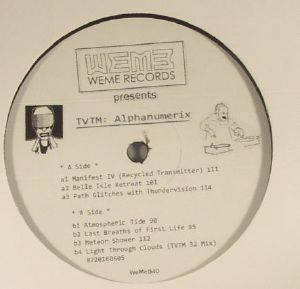 On the Youtube thread for the track a cousin of T. Woodard says they pressed 2,500 copies of this – but that seems hard to believe unless they didn’t sell and got recycled at Trax and/or were simply thrown out, as this rarely show up anywhere. This is a very early and simple track which sums up the new and experimental sounds of early 1985 along with tracks such as Jesse Sanders On & On and Funkin Keith Funkin with the Drums. Basic early house music that havent lost any of its relevance. Due to technical limitations, numeric keys are displayed as a workaround. Numbers indicate a song’s offset from a given epoch. Alternate character codes are included for human readability. 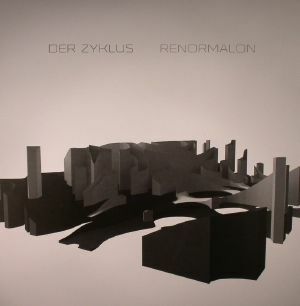 Renormalon is a collaborative effort between Elena Sizova, Heinrich Mueller: music data and Dr Olga Karelkina: visual data + encoding. Its purpose technically is to visually and sonically communicate the renormalon physics principle. Each composition is separate component of the theory representing a particular phenomenon in the realm of quantum uncertainty. The observer is to be immersed conceptually and hopefully will experience discrete states of energy which is integral in atomic behavior.